– Test set: 8619 images were used for testing. On average, each device was tested against approximately 150 matching images and approximately 150 non-matching images. It is important to understand that, in most cases, we could not control the image creation process. This means that images may have been captured using digital zoom or at resolutions different than the default one, which makes PRNU analysis ineffective. Making use of EXIF metadata, we could filter out these images from the Reference set. However, we chose not to filter out such images from the Test set: we prefer showing results that are closer to real-world cases, rather than tricking the dataset to obtain 100% performance. 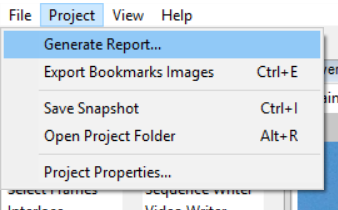 – Experiment 5) investigating the impact of the number of images used for CRP computation. This entry was posted in Announcements, Authenticate, New features on October 31, 2017 by Marco Fontani. Trust? Can you really trust and image? Some time ago, two images featured prominently in the initial reporting of Hurricane Harvey. 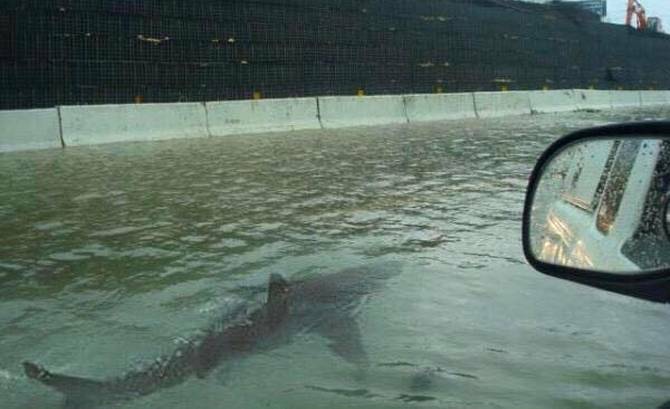 The first was of a shark swimming along the Houston freeway. The second showed several airplanes virtually underwater at what was claimed to be Houston airport. These iconic images were circulated widely on Twitter and were featured on mainstream national media such as Fox News. There was just one small problem. Neither of them were real! This situation prompts an important question. If this behaviour is widespread on social and traditional media then how do we know it isn’t also affecting police and court investigations? After all, if members of the public are prepared to manipulate images for the sake of a few likes and retweets, what will they be prepared to resort to when the stakes are much higher? Read the full article published on Police Life. This entry was posted in Announcements, Authenticate, Press / Media on October 24, 2017 by Darlene Alvar. Meet Amped Software’s Founder and CEO, Martino Jerian, at the DIC (Digital Investigation Conference) event in Vienna, Austria, on 25 October. You’ve seen it over and over in famous TV shows like CSI: using technology to magically “enhance” low quality videos. 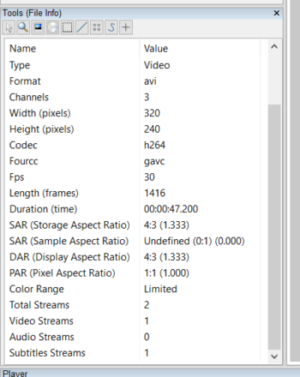 Video analysis is one of the most fascinating fields of digital and media forensics, but there’s much more to it than simply enhancing a picture. This workshop will tell you the truth about video analysis and provide a summary of all the steps needed to get evidence out of the source (typically a digital video recorder), extract parts of interest, properly enhance them, take measurements, and prepare the results for presentation in the courtroom. The full workflow can be managed with the software Amped FIVE, which is being used daily by top law enforcement forensic labs worldwide. We will also look at the current tools available in Amped Authenticate, the leading software for forensic image authentication, camera ballistics and tampering detection. The DIC conference provides a platform for computer forensic experts, vendors, partners and sponsors working in Digital Investigations and E-Discovery. It features independent keynotes and offers workshops to increase skills and to learn more about software and hardware solutions in the market. This entry was posted in Announcements, Events on October 23, 2017 by Darlene Alvar. Come see Amped Software, together with our partner Axon, at booth #2825, at the IACP Conference and Exposition on October 21-24 in Philadelphia Pennsylvania. Every year, the IACP Annual Conference and Exposition supplies you and your department with powerful advantages, bringing together an unmatched educational program, renowned keynote speakers, community-building special events and the largest collection of tactical equipment and technology solutions available for law enforcement. Join thousands of dedicated professionals from federal, state, county, local and tribal agencies at IACP 2017 — you and your team will get the intelligence, strategies, and solutions you need to sharpen your edge and better serve and protect. This entry was posted in Announcements, Events on October 19, 2017 by Darlene Alvar. 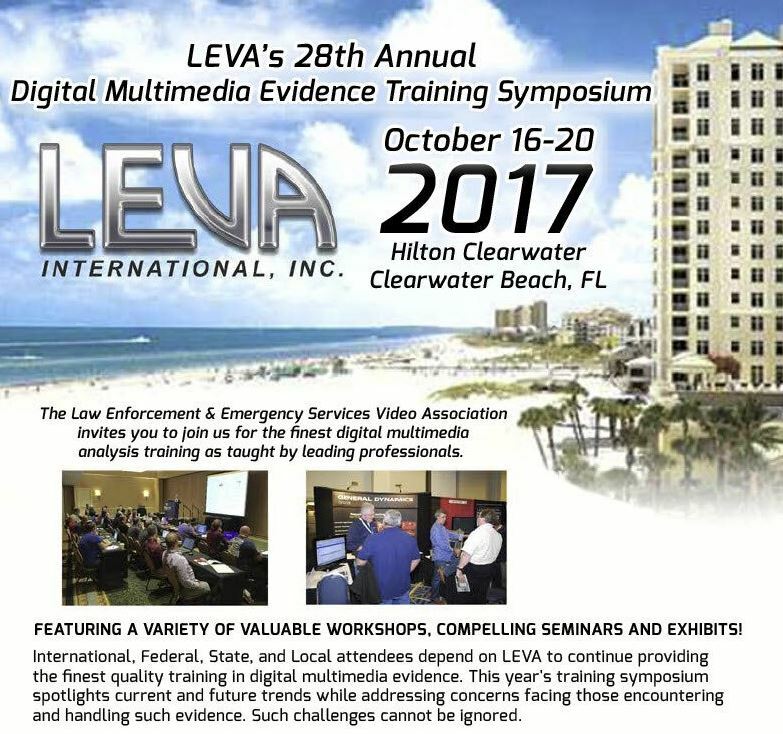 LEVA (Law Enforcement and Emergency Services Video Association) is holding this year’s conference in Clearwater Beach, Florida, USA, between 16th and 20th October. For the past few years, David Spreadborough, our international trainer, has run a 2-day practical session using Amped FIVE – and this year is no exception! On Thursday 19th and Friday 20th, David will be looking at many practical case workflows using Amped FIVE. Suitable for both the newbie and the wizard, the cases are designed to promote discussion, learning, and self-research. Report writing, case management, and organization will also be reviewed. Along with a few new developments, David will also look at image authentication with Amped Authenticate, to ensure users understand some key concepts in Image Authentication. The Amped team will be around throughout the week and you can also stop by the Axon stand to chat with us about the products we have to support you. This entry was posted in Announcements, Events on October 12, 2017 by Darlene Alvar. 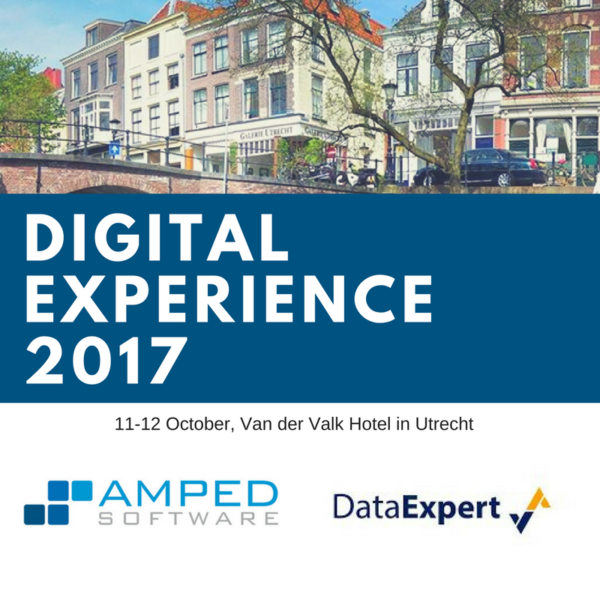 We are happy to attend once again the Digital Experience event organized by our partner DataExpert, on October 11-12, 2017, held at the Van der Valk Hotel in Utrecht. Digital Experience 2017 is a two-day event in the field of Digital Forensics, Data Analysis and Cyber Intelligence. This event brings experts and specialists, proven and innovative solutions, and users, together in one place! The latest trends and developments will be presented during this event. The first day is dedicated to sessions and workshops around the theme ‘Digital Forensics’. The second day is dedicated to topics such as ‘Analysis & Investigation’, ‘OSINT & Mobile’ and ‘Cyber Intel’. You can sign up for one or both days. Amped Software will be presenting a session regarding investigations on images and video in the age of terrorism. This entry was posted in Announcements, Events on October 9, 2017 by Darlene Alvar.